Zone 2 London Overground and rail station on the East London Line and the Hayes Line out to Kent. 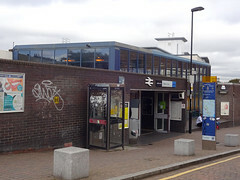 It's a short walk from New Cross Gate Station on the South London Line. Last edited 2016-09-23 17:21:58 (version 12; diff). List all versions. Page last edited 2016-09-23 17:21:58 (version 12).